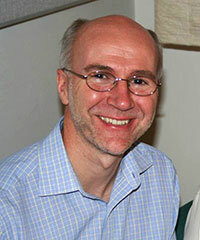 Dr Simon Day has over 30 years working in clinical trials in academia, the pharmaceutical industry, and as a regulator. He was formerly Head of the Statistics Unit, and Manager of a Product Lifecycle Assessment Team at the Medicines and Healthcare products Regulatory Agency (MHRA). He consults with companies throughout the world, with contracts in Europe, the US, Japan and Australasia. 53 Portway, North Marston, Buckinghamshire. MK18 3PL. UK.